Before making any decisions regarding your energy uses, you should conduct an energy assessment to pinpoint the areas of your organization where you could be more energy efficient. This will help you better understand how energy is being used and identify the best opportunities to save energy. Some organizations use checklists to conduct an energy audit of typical energy savings measures such as lighting, HVAC, and compressed air. However, to minimize energy costs, it’s preferable to take a more comprehensive approach that goes beyond energy efficient equipment upgrades. Areas you should take into account include improvements to your manufacturing processes, improved operation and maintenance procedures, utility rate review, and on-site generation and battery storage. 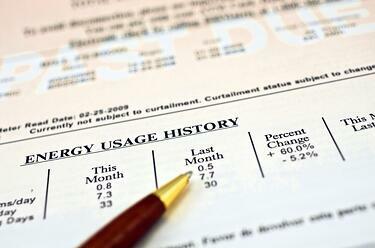 Electric utility bills and the underlying rates are not easy to understand. It's important that you understand utility rate structures, the energy charges that make up monthly bills and opportunities to lower electricity costs. This includes understanding the impact of charges for electric energy ($/kWh) and electric demand ($/kW), seasonal rates (summer and winter), and daily variations in time-of-use charges. CMTC can perform an analysis of alternative electric rates to identify opportunities for cost savings. In addition to implementing energy efficiency measures to reduce electric energy (kWh), managing electric demand (kW) charges through peak demand shaving, or participation in utility demand response programs, can be an effective way to reduce electricity costs. It’s important to develop a long term plan to manage energy costs. To be successful, this plan must fit into your long term business strategy including the potential for expansion, process or product changes, and targets for ROI. Results of the energy assessment can be used to develop a list of energy savings opportunities prioritized by energy savings, cost, ROI, and compatibility with future business plans. This plan also can include corporate sustainability goals such as reduction in energy use or greenhouse gas emissions. In addition to implementing energy savings measures, you can also take advantage of assistance provided by utility programs including incentives to offset the costs of energy efficiency upgrades to facility equipment. To track the impact of energy savings measures, it is also important to help you normalize energy use for variations in production so you can effectively track energy use and progress towards energy savings goals. In a challenging economy, it is important to reduce costs; conducting an energy assessment will help you understand where energy is being used, your overall energy costs, utility rate structures, and opportunities to realize energy cost savings. A comprehensive approach that includes process improvements can reduce operating costs by improving productivity as well as lowering your total energy costs.